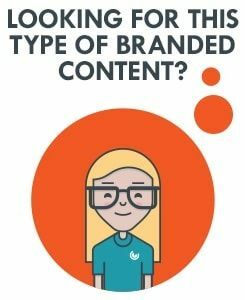 Interactive content encourages active engagement which brings consumers into a deeper relationship with your company, raising brand affinity and purchases over the long run. 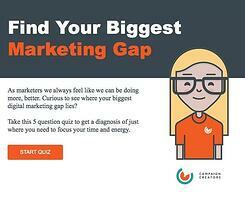 Create a dynamic visual experience with an interactive infographic. 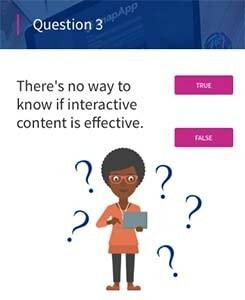 Scrolling, clicking, and mousing-over allow your visitors to reveal information and learn as they explore. 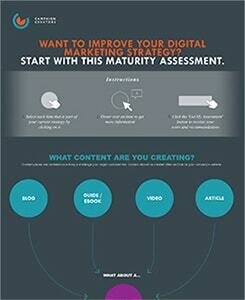 This type of content can be highly engaging and visually appealing. 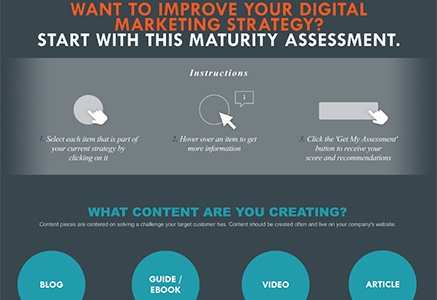 This interactive infographic does dual duty as an assessment to help marketers determine how mature their digital marketing strategy is. 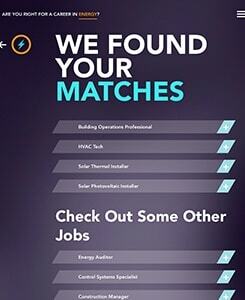 Are You Ready for a Career in Energy? 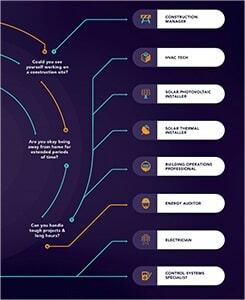 This infographic was part of a series to help community college students determine their best career path. 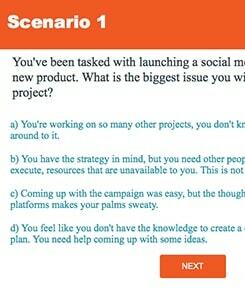 Ask questions that deliver a consultative result. 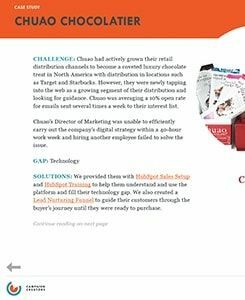 An assessment can establish benchmarks or even suggest products based on fit. 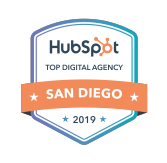 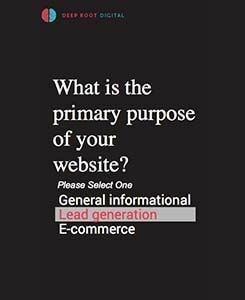 Let your leads discover the best options for them in a low commitment environment. 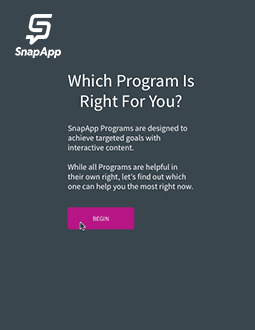 This assessment was created on the SnapApp platform. 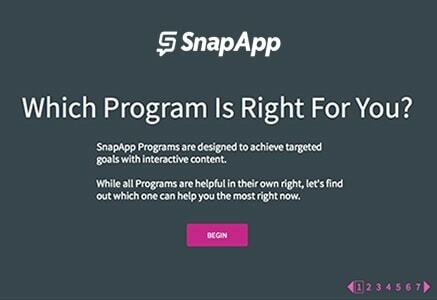 It aimed to help users detemine the SnapApp program that is best suited to meet their marketing needs. 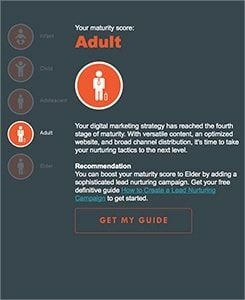 This assessment was created for a web development firm. 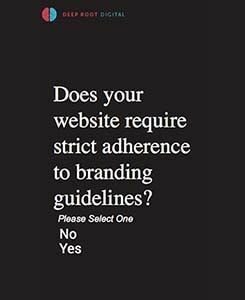 It aims to help users determine whether their needs require a custom developed website. 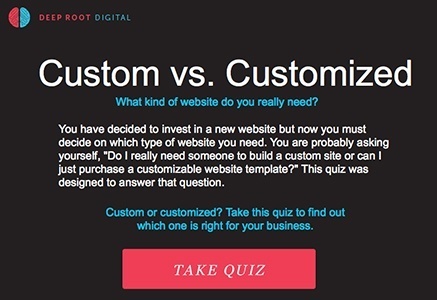 Allow your website visitors to test their knowledge. 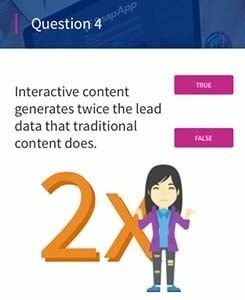 Both simple and engaging, quizzes can help gather valuable data about a lead. 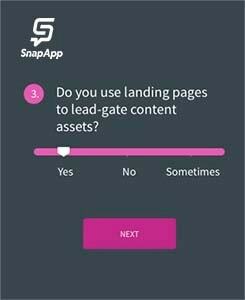 This quiz was creating using the SnapApp platform and tests user's knowledge of interactive content. 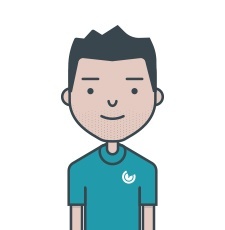 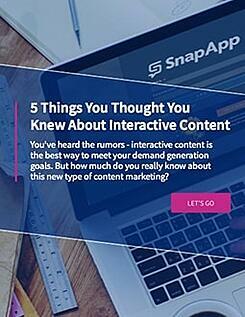 It was created to educate users on the benefits of investing in interactive content in an engaging and fun way. 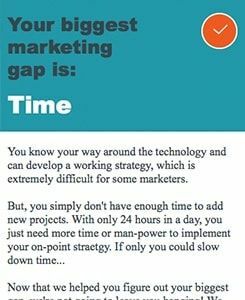 This 5 question quiz helps marketers determine what their biggest marketing gap is: Time, Tech Skills or Strategy. 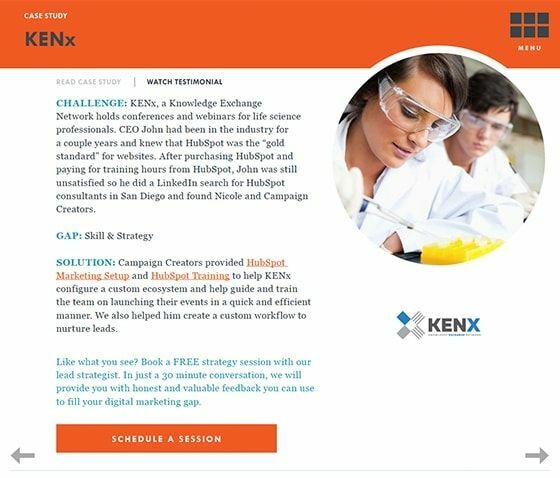 Interactive documents function like a microsite, allowing users to freely navigate and choose their own educational path and preferred content format. 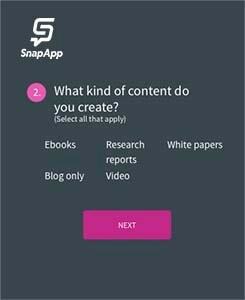 They are ideal for presenting multiple content pieces at once and capable of incorporating multiple forms of media including video. 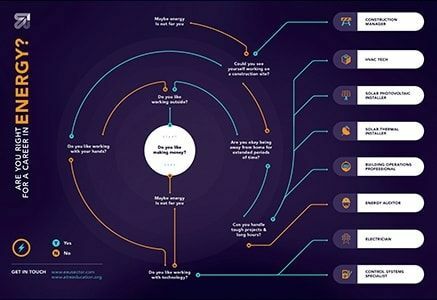 This interactive pdf provided leads with a feeling for what it is like to work with Campaign Creators and the results they can expect to see if they do. 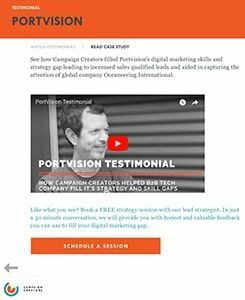 The document features a mix of written case studies and video testimonials to cater to leads preferred content format.